This session presents an overview of local government and its relationship to other governmental bodies. Students receive first hand experience in civic leadership by campaigning and running for public office. Opportunities are provided throughout the day to interact with current and former public office holders as well as public service administrators. It is a goal of Leadership to familiarize the class with methods of effecting change through the governmental process. 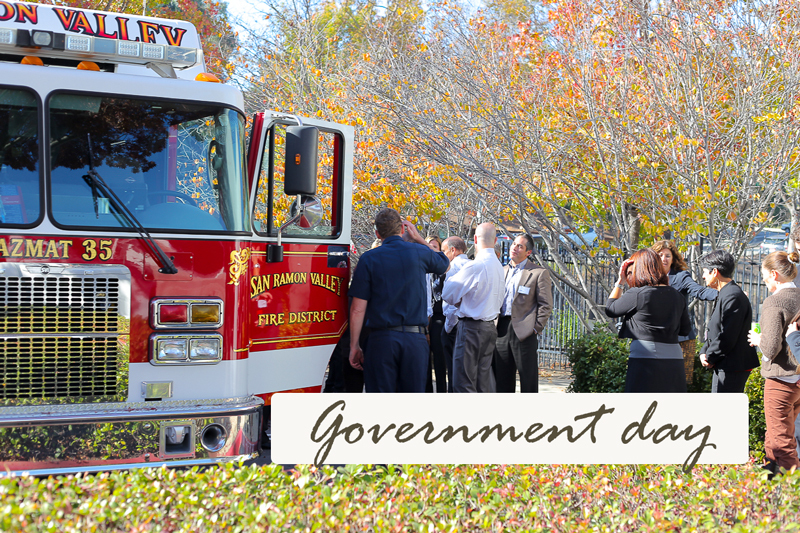 To gain a working understanding of the overall function of local city governments and how they interact with federal, state, and county governments, other agencies and special districts. To learn the process by which an individual or group can bring about change in governmental policy. To have a better understanding of the issues that affect where we live and work. To learn the fundamentals of government, such as process, protocol, budget, legal, ethical, etc. To prepare ourselves in the future to solve the issues that affects us. To gain confidence in speaking before a group or government body.